i asked for it to be tested via a db meter and apparently there was no need to do it as the exhaust is LOUDER than standard!!!!!!!!! Using there powers here it seems. Bored boys in blue looking for some drama and action by making waves. of course they need to test the noise level in a Controlled Area...so i dont see how they could fine you, after all, how loud are Lambos and the likes when they whizz past you. IIRC to test the Noise, you need to hold the engine revs at 3k as this is apparently when its loudest? they need to have a car or the same spec and everyhin sittin beside it !! 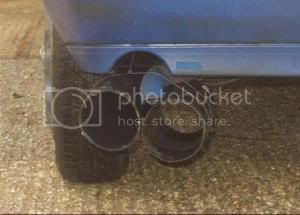 to see exactly what a standard exhaust sytem of the particular car sounds like ! !